Magnetizes driver bits to hold fastener. Milwaukee Shockwave Impact Duty Compact Magnetic Bit Tip Holders are engineered for extreme durability and up to 10x life. Made from proprietary steel and heat treated to control hardness, the Shockwave Impact Duty magnetic bit holders feature a powerful magnet allowing for a secure grip and unyielding bit engagement. The 2-piece construction of the holders is the optimal assembly for abusive applications. Broadly targeting cordless users, the Shockwave Impact Duty accessory line is not only ideal for heavy duty impact applications, but delivers a full system solution for all the user's drilling and fastening needs. 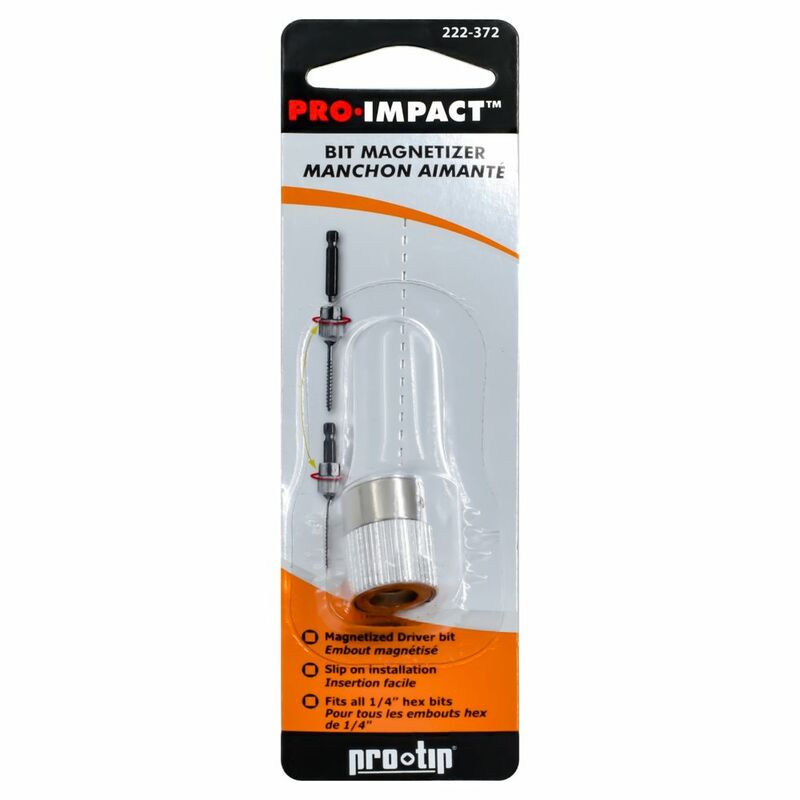 Pro-Tip Magnetic Sleeve Premium screw driving bit.